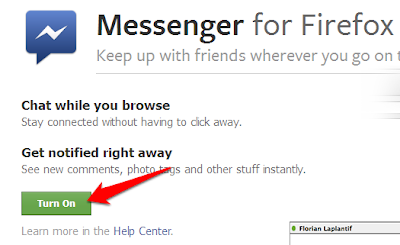 Mozilla released its official first social API called Facebook Messenger for your Firefox browser. So you can continue your conversations on Facebook at wherever you go on the web. 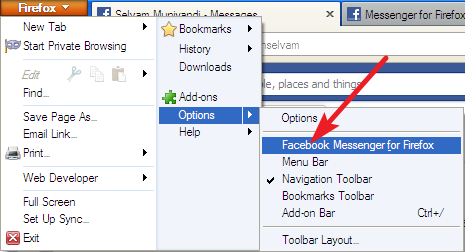 You can also chat with your Facebook friends, view your notifications, friend requests, messages and send reply all in your Firefox browser without open Facebook site. To enable Facebook messenger you should use latest beta version of Firebox. Click here to download and install the latest beta version. 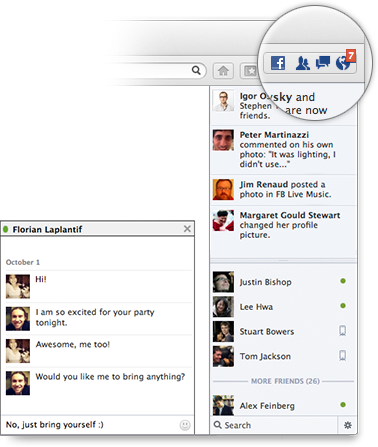 That's all you can view all your Facebook conversations from your firebox browser at anywhere on the web. It will enable Facebook sidebar on your browser if you want hide Facebook sidebar click the F icon in the upper-right corner of Firefox and deselect Show Sidebar. That's all Facebook Messenger will be disabled to your browser.